Only four days until Christmas! Can you believe it?? I know lots of you will be off of work this week, and you probably don't need something else to add to your to-do list. 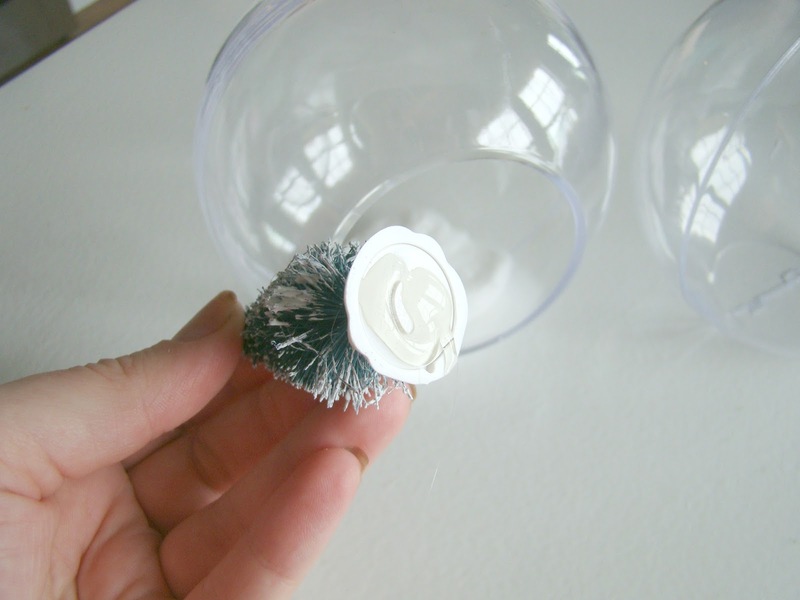 But in case you're still feeling crafty right up until Santa comes down the chimney, I have two more ornament crafts for you today! If you haven't caught on by now, I really love anything in miniature. I have always been drawn to teeny little things, and I still have all my original Polly Pocket toys from the 90s. It feels like every Christmas craft I've done has been involving cute things in miniature form: houses, trees, deer. 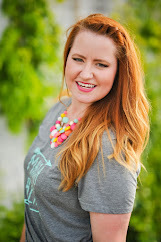 Look at these adorable (and easy!) 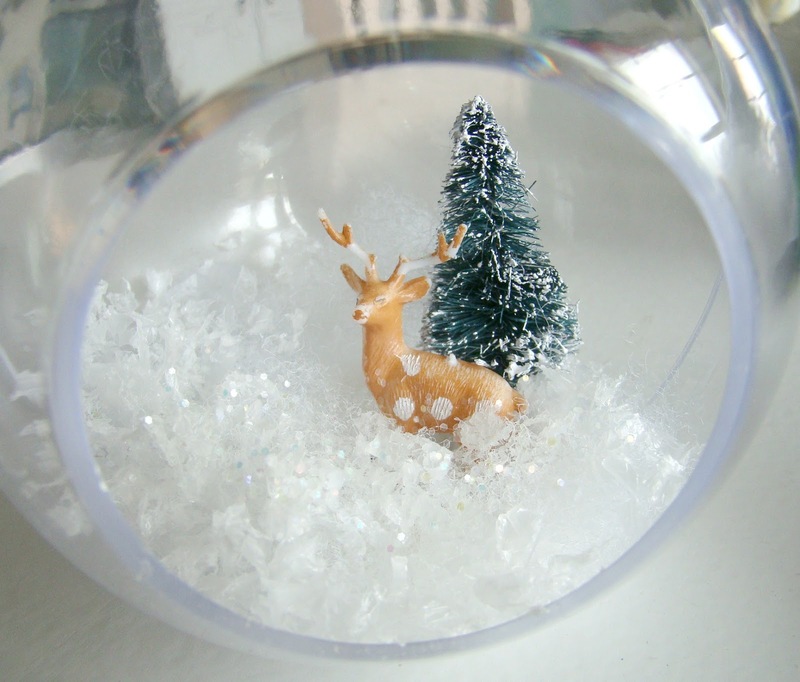 winter scene ornaments! I started with these plastic snow globe ornaments from Michaels. I like that these are flat on the bottom and also have the little terrarium-style opening in the front, but you can also find some that are a solid globe. 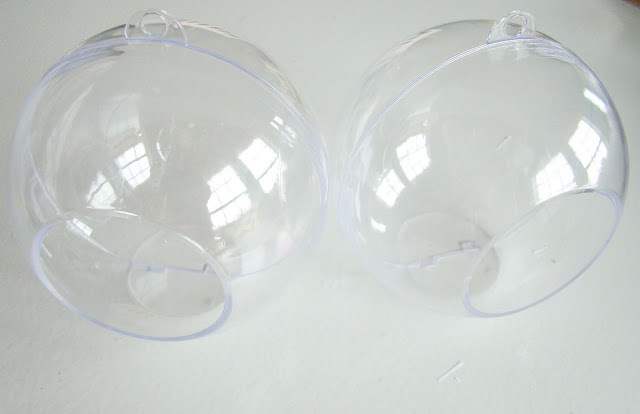 Those have a seam in the middle you can open and close, and they are completely enclosed. 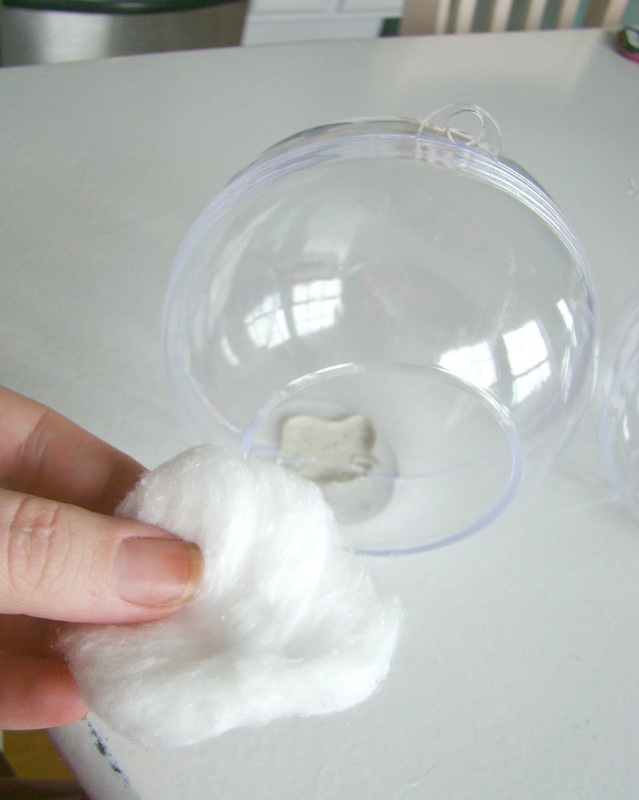 Next, I hot glued a cotton ball to be the snowy base of my scene. I can warn you not to burn your fingers, but we all know it will happen. Also, don't judge my weird brown fingernails. I am a hairstylist by day, and my nails are always stained from haircolor even though I wear gloves! 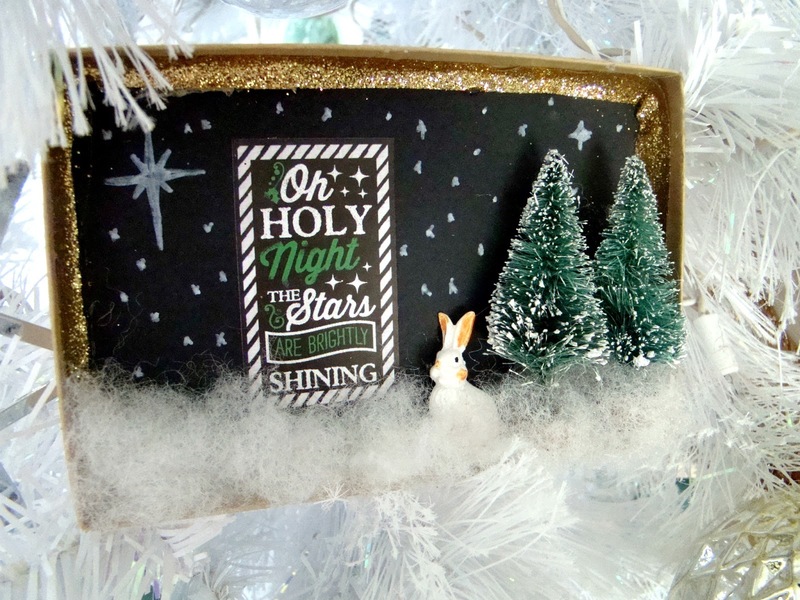 After you have your cotton ball glued down, you can start hot gluing down the elements of your snowy scene. 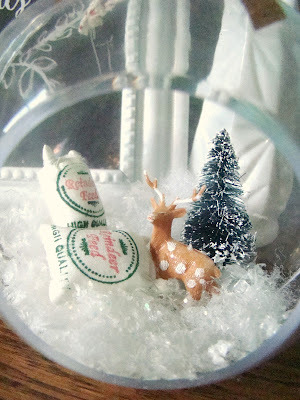 I'm using mini bottle brush trees, tiny deer figurines, and miniature bags of "reindeer feed." After I got the deer and tree liked I liked them, I first sprayed the area around the "ground" with Loctite Spray Adhesive. Use a lot. Then I pinched small handfuls of fake snow flakes (found at Hobby Lobby) and smooshed it on top of the sticky cotton ball. I gave it another coat of the spray adhesive so that it wouldn't all fall out of the opening. While still wet, sprinkle some glitter atop the snow. Note: If you're using the kind of ornament with no opening, I wouldn't spray the snow down. 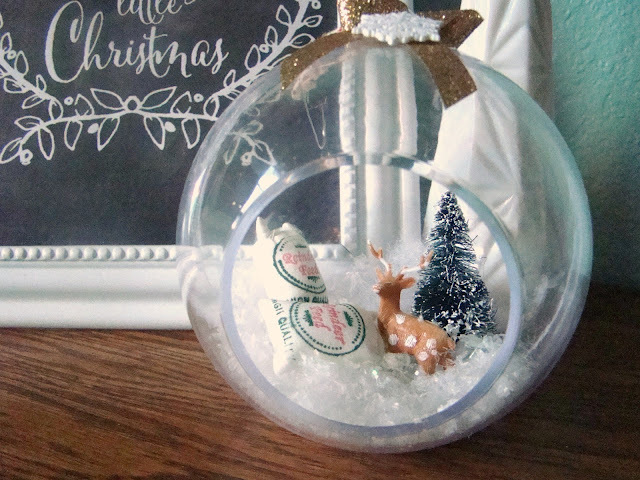 I'd let it fall wherever as if it were an actual snow globe. It stayed like this for a week or two until I decided it needed a little something more. I added the bags of Reindeer Feed (found at Michaels) to fill up the negative space. That's a lot of reindeer feed. My little deer will never go hungry again. Then I tied a simple bow out of ribbon and hot glued it to the top. The snow flake is actually a button I glued down. 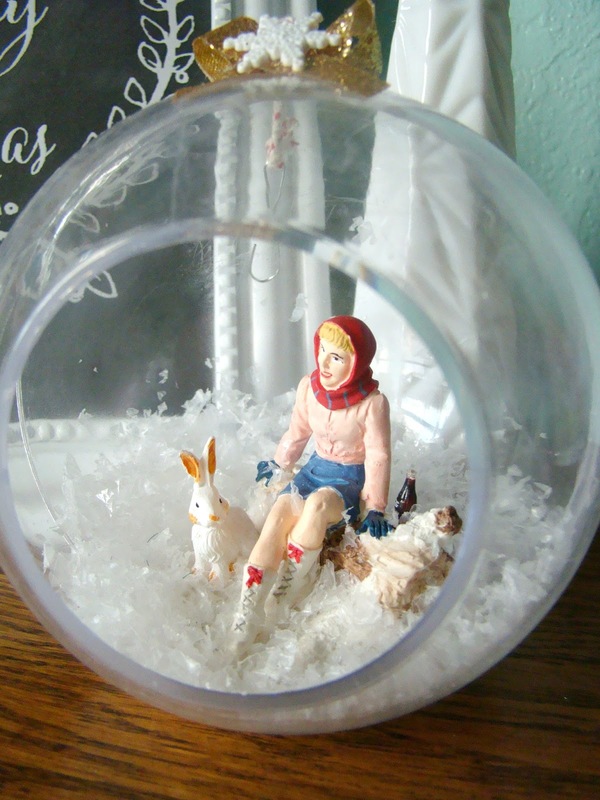 I also made a second ornament out of a vintage Coca-Cola ice skater figurine I found at an antique store and a miniature bunny rabbit. After I made these, I saw this tutorial. Shadowboxes! Tiny figurines! I had to make my own. Luckily I already had these small kraft boxes, but you can find these in the gift wrap aisle. I modified mine just a bit. I chose to use chalkboard style stickers instead of buying a stamp I'd rarely use again. 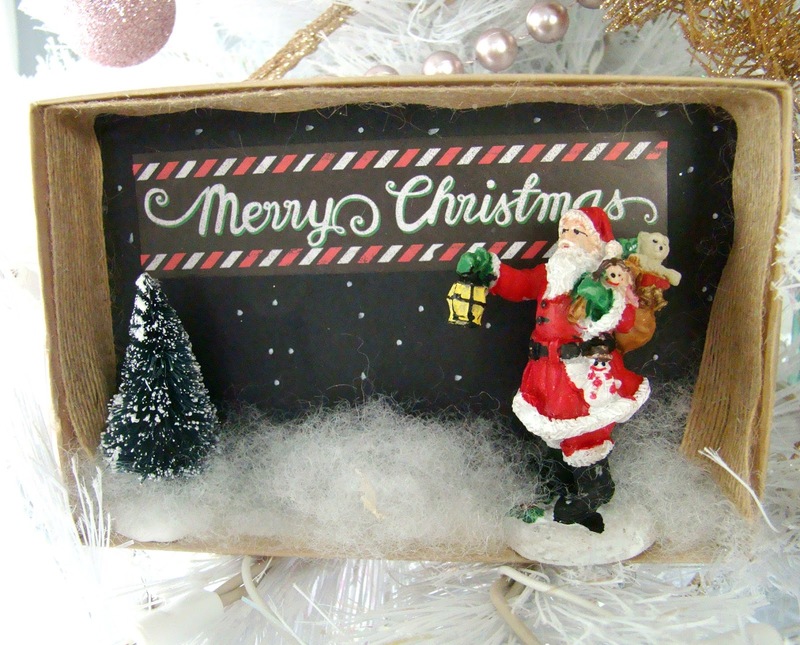 I also used ribbon as a boarder instead of the green garland stems, since my tree is white. I also didn't add hangers to these. Instead, I just nestled them into my tree. The Santa figurine came from Wal-Mart and only cost one single dollar! I love how the black background of these adds a pop of dimension in my white and pastel tree. I think the best part about both of these style ornaments is that you can put whatever you want in them! If it fits, glue it in there! Check out the Christmas village section and stock up on little people and figures or use small toys or dolls. You could have a princess or Star Wars themed ornament for your kids! Seriously, these were so easy and so satisfying. An instant gratification craft if I've ever seen one. Even kids hopped up on sugar can help make these ornaments! Okay, maybe not that last part. But they really are fun and simple. 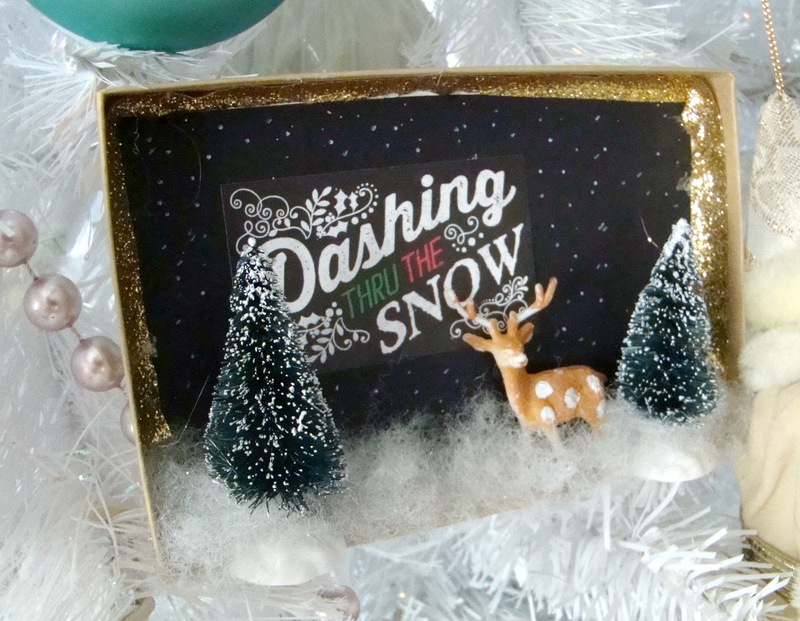 I'll be back tomorrow with one more installment of easy ornament crafts for you!